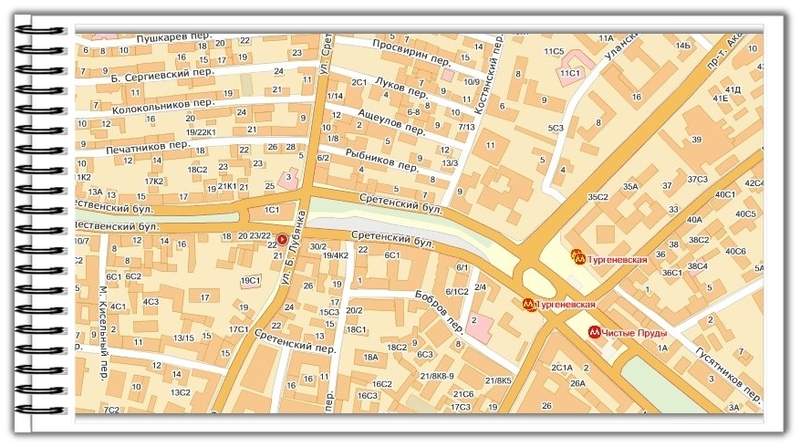 to reach to metro station Tourgenevskaya or Chistie Prudi Exit towards Sretensky parkway. Move on Sretensky parkway to street B.Lubjanka. Pass on a pedestrian crossing street B.Lubjanka - 4 floor yellow building before you. To reach to metro station Lubjanka - further on foot along the street B.Lubjanka. Without reaching Sretensky parkway on the left side there will be 4 floor yellow building.